With the 13th MC’s term about to come to an end, the Cinnamon Roll sat down with the 13th MC (on a metaphorical sofa) to ask them about all their work in the past year. TCR: Varun, you had bold ideas for USpaces and the Houses, and things have certainly changed a lot since last year. For one, we have RAs for every floor now, and the student allocation for the building has been radically revised presumably to enhance pastoral care. Our Theme Rooms are done up and look fantastic. Houses are an integral part of the USC Community experience now. How can your successor move forward and what do you think still needs to be done or can be improved? 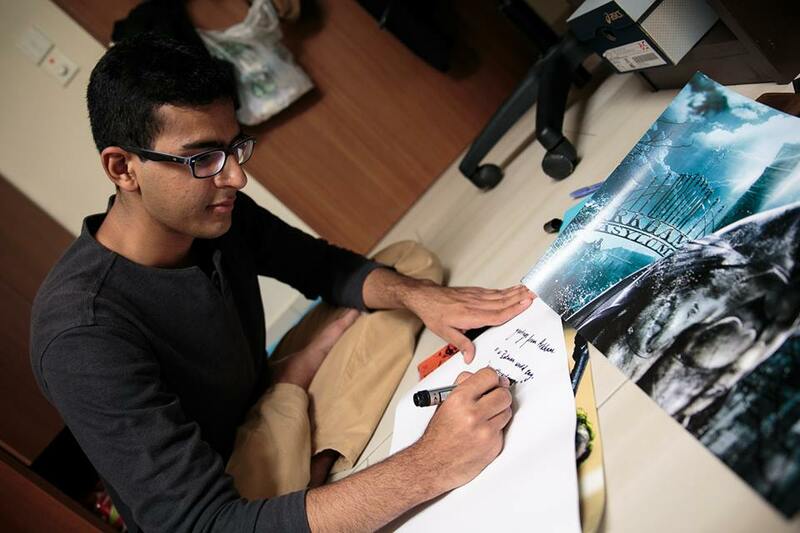 Varun: The next VP Welfare is, before all else, free to disagree with the changes made last year, though I’d very much hope for that not to be the case. The things we implemented require constant monitoring and evaluation by the next VP Welfare. For example, are the freshmen floors really successful in enhancing bonding? Are the theme rooms serving the needs of the community? Are the Houses truly integral? Ensuring the outcomes meet the desired objectives would be the responsibility of the next VP Welfare. I imagine a big part of his/her job will be course-correcting the plans we laid out. Beyond that, the changed landscape gives the next VP Welfare a neat little sandbox to play in. How should the interaction between Houses and freshmen floors be like? How would the RFs and RAs work with the MC and the House Captains? How do all of these address the various needs of USP students? These are issues that the next VP Welfare will have to address. One issue that I wish would get more attention is the discord between USP and the RC. It bothers me that USP is only deemed to be a tenant in the RC and is not allowed the freedom to internally decide on all issues pertaining to the college. How can the residents be expected to take ownership of the spaces they live in if USP itself is not given any ownership of the college it resides in? TCR: Talia, during your interview last year you wanted to help interest groups – or interest-based groups, as you dubbed them. We certainly love you wall of IGs in the lobby, and it was nice to find out $2800 of the budget went to supporting IGs. One year on, do you think your efforts have resulted in a more vibrant IG environment? How do you think we can keep the spirit of IGs alive in the community? Talia: USP students are an incredibly talented bunch – I never doubted that this was a community that had many things to offer, not just itself, but also many people beyond. The sense I had at the start of my term (my, it does seem like quite some time ago!) was that I wanted to do everything I could to put in place streamlined structures and open up spaces for people to easily and genuinely do some of these things – ‘interests’ was the term I used – if they so wished. My hope was that USP would be a place where both like-mindedness and diversity would enrich. Numbers don’t mean everything, but I think the fact that the $2800 has been very well used to support more than 20 independent student initiatives (I refer broadly to both interest groups and other random groups), all on fairly small ticket items at that, shows us that many USP students take an interest, whether individually or collectively, in making this community a better and more colourful one. On the MC side, I think it needs to keep its eye on maintaining good structures that enable students to pursue their interests. It should see itself as playing a facilitatory role – nothing less, but also nothing too much more. I think you ask the question correctly: how can we (collectively as a community) keep the spirit alive? At the end of the day it does very much boil down to what kind of community we want for ourselves, and what we’re willing to do with our time in university. TCR: Ying Ting, your committee was involved in organizing and coordinating many activities throughout the year such as IFG, ICG, and the Cinnamon Run. Was it an exhausting ‘workout’ being a sports director, or has it been an enriching one for you? How so? Ying Ting: It has definitely been an exhausting “workout” but most definitely enriching at the same time. I clearly remember how much “stamina” I needed to organize two large scale events back to back, there was quite little time for sleep then. But nonetheless organizing events has definitely sharpened my abilities to plan ahead and to manage people, their expectations and my own discouragements. There was also the need to navigate the fine line between treating people as friends and being professional. Most definitely, working with a bunch of highly-motivated ‘visionaries’ in the 13th MC (no matter how much we disagreed at times), has been both inspiring and eye-opening. I think my mindset on many things has been stretched. 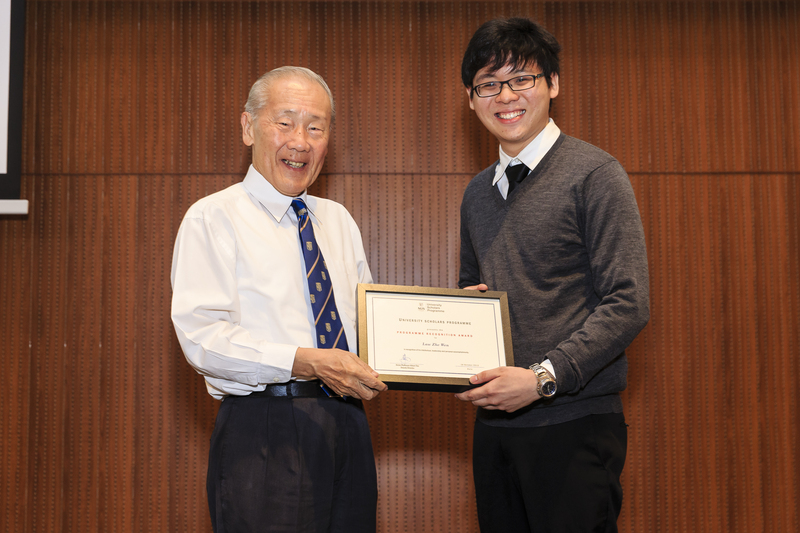 TCR: Zhe Wen, improving alumni relations was a goal that you mentioned at last year’s Q&A session. How has the state of alumni relations improved under your MC? Zhe Wen: We have certainly had an increased level of alumni engagement over the past year. We finally organized a student-alumni get together in the form of SG Tipsy Trivia in The Arts House. It was essentially a quiz night with students and alumni engaged in a battle of trivia. Other than that, the engagement with alumni came in the discussions on the setting up of the USP Alumni Society. 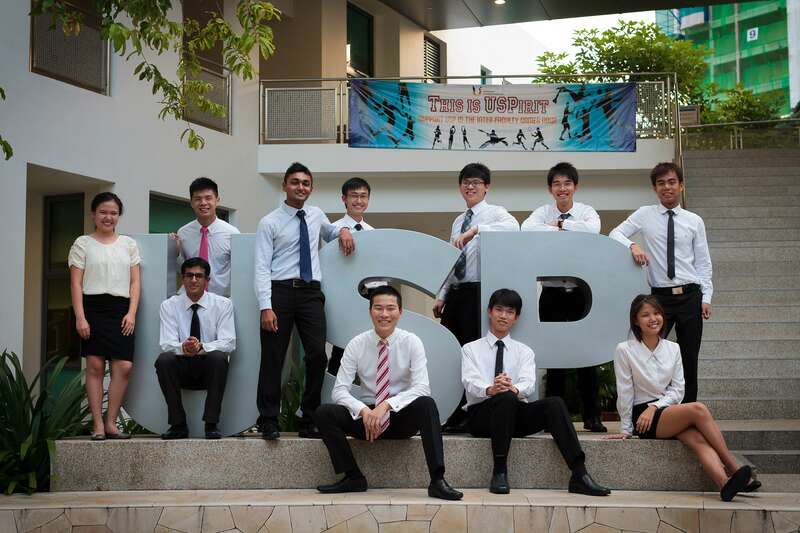 A group of USP alumni has decided to come together to setup a registered society under NUS. We tried to provide input where necessary. USC will now send 2-3 representatives to the USP Alumni Society and we have also integrated the alumni’s schedule in our planning for the year. However, the idea of an alumni as a stakeholder in USP is still not ingrained in our culture. To achieve meaningful alumni engagement, we have to truly rethink how alumni can be integrated into the current form of USP. I believe that the idea of a residential college is still foreign to many USP alumni and it remains an uphill task to make the physical space in the current USP meaningful to the alumni. TCR: Jonathan, last year, you ran on a platform of participatory democracy and participatory finance. After being elected, you did put your ideas into practice and they appeared to be quite successful. Did you like how it turned out, and is it something you will enshrine as a practice for future MCs or will you leave it up to the future Hon Gen Sec to decide if they want to continue it? Jonathan: I think that although the participatory budgeting experiment was useful for people to find out about how their money was used, the participatory impact that it actually has for events can be rather limited. In the first place, there were structural limitations to the way we conducted it – 1) OFS required us to submit our finalized budget within two or three weeks of the election, which resulted in limited time for participatory processes to take place; 2) Unless there are significant oddities in the budget (i.e. excessive money spent on Dinner & Dance), many of the items on the list are rather uncontroversial and it is difficult to imagine how much of a difference adding or taking away a hundred dollars will impact future events; 3) Ultimately, due to time and knowledge constraints, it was MC members who decided how to structure the two proposals that were on the voting table (after feedback), which already built into them significant biases regarding which proposal ought to be considered. So one might criticize it for not fulfilling its participatory / democratic potential of being genuinely “participatory”. That said, I felt that its advantages by far outweighed the disadvantages. 1) It promotes transparency as the budget was publicly available for comment, and it is also informative for anyone interested about the considerations that goes into MC decision-making. 2) It will allow experienced seniors to provide suggestions if they spot potential mistakes made by an inexperienced MC 3) By forcing ourselves to engage the community from the very beginning, participatory budgeting helped to set the tone of how the rest of the MC term proceeded. As you might recall, we came up with a budget proposal that was open for critique, after which we had focus groups that discussed what they wanted to see, and the finalized budget was based on this feedback, subject to a voting mandate. This was, and still is, a uniquely democratic practice in Singapore, if not in Asia. Over the rest of the year, a similar framework was used to resolve other community-centric issues, such as the house-neighbourhood discussions, where we also had a voting period after presenting the pros and cons of the available alternatives on video. I will go so far as to suggest that the 13th MC is defined by its participatory politics, and this began with the budget. I hope that the 14th MC will inherit our participatory orientation, but this need not necessarily begin with budgeting. As I earlier mentioned, structural problems may make it difficult to do so – what if OFS decides to set an earlier deadline for budget submission? And what if nobody seems interested in USC finances any longer? Aren’t there better issues to expend the MC’s energy on, such as persuading the administration to change the outmoded science/arts curriculum, so that USP can remain competitive in UTown? As with everything, getting one’s priorities right is absolutely critical. At the end of the day, although leaders must sometimes cajole and persuade the community to take steps towards a better future, they must always work with, and never against, the community. Jonathan Chua, the outgoing Hon Gen Sec. TCR: Pardon us Elson, but we are not so familiar with what Acad has achieved this year. Don’t get us wrong – we think a lot of the work was behind the scenes and is not very evident. Could you share with us some of the key achievements of the Acad Comm in the past year? Elson: I think that’s a common sentiment among many, and it probably reflects the nature of the work that the Acad Comm does. The Acad Comm has always played two main roles in the USC, firstly in welfare advocacy and secondly in events organisation. With regards to the first aspect, the Acad Comm has over the past year, tried its best to collect feedback from the student population and convey it to the USP administration. To this end, we conducted focus group discussions with students belonging to different faculties and majors (held in Oct last year), and an academic welfare survey as part of the general welfare survey in Sem 1, which we then summarised into a report and presented to the USP Administration. At the end of the day, even though only some of these suggestions were implemented (in terms of allowing students to recommend professors and the change in the USS structure), I feel that my comm has done a credible job in representing the academic needs of the students given the limitations what we as students can do, especially when it involves higher authority such as faculty or the institution itself. As for the events side of things, in addition to organising annually-recurring events like the ISM showcase for the first years and (co-organised) the Inter-College Debates, we also organised Cornucopia, a tri-university conference which saw students from NUS, NTU and SMU presenting their works to professors and students alike. Hopefully, these events provided an avenue for some of the students to showcase their academic interests and abilities. Elson, the outgoing Acad Director. TCR: Elson, you told us last year that you felt an atmosphere of academia is missing from USP. Do you think the atmosphere of academia has returned to USP after everything you’ve done? How is the academic atmosphere like now? If it is missing, what do you think the future Acad Comm can do to build on your work and hopefully bring it back? If it is back, how can we maintain this atmosphere of academia for the years to come? Elson: I don’t think anyone can claim to change the atmosphere of a community! Personally speaking, I don’t think that there has been a shift towards a more “academic” atmosphere in USP over the past year, inasmuch as we define an academic atmosphere as one of constant public discourse (or something like what the recent graduating batch experienced in the old Chatterbox). But in retrospect, that may not necessarily be a bad thing. Communities evolve over time and perhaps the newer batches of students have different preferences, ways and avenues of expressing or exploring their intellectual interests. I’m not sure if there will be an Acad Comm based on the new structure, but perhaps one area in which the new MC look towards would be provide more avenues and opportunities for students with common interests to form groups and explore their intellectual interests. A prime example, I think would be The Sessions, which has always had very interesting discussions on various topics. TCR: Seng Chiy, out of all the social and cultural events you organised, which event stands out as a very positive experience for you and the community? TCR: Seng Chiy, how have your social events have helped to foster friendships across houses, years, and faculty? Seng Chiy: I suppose these events provide platforms for people to interact. They give people “excuses” to get out of their rooms and talk to people they don’t know. Especially Buaya Buayee, when some people get assigned people they don’t usually talk to, allowing them to make new friends in the process. Seng Chiy, the outgoing Social and Cultural Activities Director. TCR: Glenn, you did not originally campaign for Hon Fin Sec. However, it seems you have warmed up to the job. Would you be able to share about your good and not-so-good experiences as a Hon Fin Sec? Glenn: I was right to be apprehensive; the learning curve was indeed steep, and there was very little time to be oriented with the workings and procedures of NUS Faculty finances. However, my predecessor was kind enough to guide me through the first few weeks of being on the job, and having a capable committee who were willing to invest time and effort to brainstorm new ideas and initiatives as well as execute them did smooth this curve for me. Most importantly, the 13th MC helped make my experience as the Hon Fin Sec fulfilling through their guidance, support and occasionally supportive criticism of my proposals. The best experiences actually came during my interactions with the community, as well as various administration members within the Office of Student Affairs, Office of Financial Services and the USP Admin Office. Being able to attend inter-faculty functions and events also helped expose me to the politics & processes of student government, which was really an eye-opener. Glenn, the outgoing Hon Fin Sec. 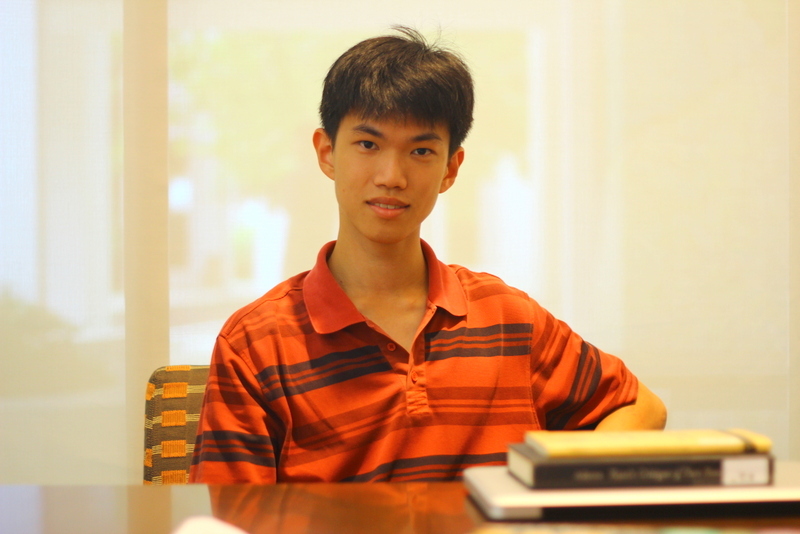 TCR: Kenneth, the past year has seen greater prominence given to community-centric events such as Connect Tuition and Think Mentorship. It was heartening to see projects such as Connect Tuition receiving an overwhelming response. Going forward, what do you wish to see your successor carry on or improve on? Kenneth: The Community Service pillar would be removed in the 14th MC but its responsibilities of encouraging and facilitating ground-up projects will now fall under the VP Comm Life position. I would say getting people to participate in or organize community engagement projects is not an easy task given the general passiveness of the community towards volunteerism and community engagement. Projects such as Connect Tuition and Think Mentorship programme are spearheaded by (groups of) individuals who are really passionate about making a difference in the community, and while the Comm Svc Committee has had a hand in supporting these projects, we should, by no means, claim the credit for their success. Moving forward, I hope my successor will build on the groundwork we have laid by supporting and further advancing these community-centric projects. More talking to people from the ground will also help to throw up more ideas and motivate/empower more people to be meaningfully engaged with our community. TCR: Kenneth, with the new MC structure, it appears future community service projects won’t be overseen by a community service director per se, and perhaps individual projects will have their own heads. How is this a better way of doing things compared to what you did the past year? Kenneth: Well, you could say that our committee functioned as though we were a group of individuals organizing community service projects. These projects could have existed even without the existence of a committee or an establishment, which was the very reason why we have decided to do away with the pillar. Rather than dictate what the community should engage in, we felt that it would be better if the community chooses and organize the kind of community projects that they are interested in. Of course, there are potential drawbacks to this new system. As addressed in the previous question, the ground-up sentiment remains to be tenuous and thus, the onus will now lie on the VP to motivate people to make things happen. Also, relationships have been fostered with several beneficiaries over the past few years. These connections may be lost without a central person tying ideas to people and people to ideas. (Far left) Jared, the outgoing PR Director, and (far right) Kenneth, the outgoing Comm Svc Director. TCR: Jared, you originally ran for sports but ended up as PR Director. It was certainly a diverse portfolio that you had to manage but it appears to have gone smoothly. The PR Director role is noticeably absent in the 14th MC positions. Who will take care of the various things that the PR Director is in charge of, such as exchange student relations and publications? Jared: Reflecting on our time in the 13th MC, we felt that Public Relations should not be handled by a single MC member, but rather be something that the entire MC has on their minds when going about their work. Ultimately though, you were right in pointing out that there are some PR functions that have to be overseen by a single MC member. As such, we envision the President as having a PR committee under his charge. It is up to the next MC to decide how to delegate all these responsibilities though! TCR: What is the one defining achievement of your past year? Ying Ting: My first instinct was to think or choose between the events we’ve organised. I was initially thinking between The Cinnamon Run or ICG. On one hand, The Cinnamon Run was a new initiative that was really well-received. On the other, ICG was headed by USP and i thought it went quite well considering the scale on which it was held. But the more I dwell on the question, the more I suppose that having my committee come together would be the greatest “achievement” because of the teamwork we achieved. Seng Chiy: With the 13th MC pushing for the streamlining of the USC committees, I was hard pressed to find good people to join my (very small) committee. But yeah, I would say my defining achievement this year would have been getting the right people into my committee. All 4 of them were amazing – they put in tons of time and effort just to make sure that each event would be a success. Especially Halloween – we slogged late into the night preparing for the event, doing the decorations in the common areas, etc. I definitely wouldn’t have survived it without them. Elson: I wouldn’t say there was any major achievement, although I was very heartened to see the positive response to the recent changes in USS curriculum. However, I must stress that neither myself nor my comm deserve any credit for this, aside from raising some student comments and feedback. Credit goes to the members of the Curriculum Review Committee and faculty members at the USP faculty retreat as well as the USS coordinators, Prof Kang and Dr Wong. Glenn: Creating new merchandise for the USP Community that was (I sincerely hope) well-received. Jared: Surviving one year of MC work! Tough but fulfilling. TCR: On hindsight, what is the one thing you could have done better? Seng Chiy: Perhaps rethink the concept of engagement – how can the MC engage the community better? On hindsight, I would say events can only go so far. I don’t think they are are the best way to engage people, or to get people involved. Unfortunately, we tend to be stuck in the old paradigm where event organisation seems to be the solution to everything. Perhaps some innovation could have been done, to find other ways to engage people. The reconceptualisation of space by the Space Working Group seems to have set precedence for such an idea. If we could find a way to innovate uses for other common spaces, that might hopefully yield better results in terms of social interaction. Elson: Perhaps the organisation of academic events such as ISM Showcase and Cornucopia could have been better. Varun: Can’t decide between ‘internal coordination within USC’ or ‘communicating complex ideas better’. Glenn: Being more familiar with the various financial workings and procedures much, much earlier. Jared: Stronger PR support to the MC and USC in general. Ying Ting: Using sports as a means to achieve stronger relations with the neighbouring colleges. Talia: Odd but self-evident as this sounds, I think I might have done better if I had tried to do less – been a better person, a better friend. TCR: On a scale of 1 to 10, how would you rate your own performance? Talia: I don’t like how that forces things into a two-dimensional scale! Suffice to say that there are very many things I could have done better, but I would like to hope that I gave of my best given the circumstances. At the risk of it seeming like ‘my own performance’, I’d just like to mention that I’m very thankful for the many people/friends who have supported and encouraged me through the year – whether that’s meant conversations in corridors/giving me advice/lending me a listening ear/dropping me texts/catching me for meals/the list goes on. Cliched though it may seem, I know full well that I couldn’t have done anything without you. TCR: If you have a word of advice to give your successor, what would it be? Glenn: Make sure there are procedures that ensure continuity for a smooth and painless transition for your successor. Elson: Work closely with the faculty and administration. Varun: Talk to your friends and family well in advance. Tell them you’re going to be busy for a while. Talia: Remember that ultimately, it’s not about the watertight programmes you execute, or the creative initiatives you conceptualise, or the brilliant ideas you put forward — it’s about the people, both the ones so different from you that it challenges you to scrutinize yourself anew, and also the ones that you’ll come to treasure as friends for many years to come. Don’t worry, the 20-page version will come with the handover files!